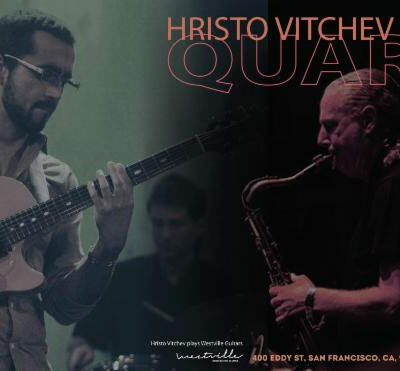 Guitarist Hristo Vitchev and saxophonist extraordinaire Dann Zinn join forces for a new special quartet project which will showcase their mutual writing and composition styles. The new formation will debut in Northern California with a few concerts in San Jose and San Francisco and then expand to a national and international touring project. Joining them on stage will be bass phenom Jeff Denson and powerhouse drummer Mike Shannon!